*Will you be using Sherline’s CNC driver box? 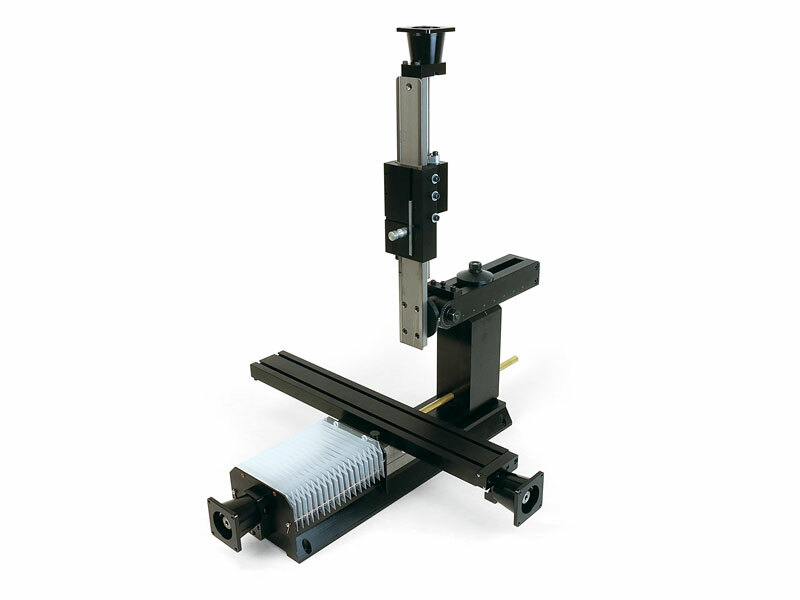 The Sherline ball screw mills can be purchased without the headstock and motor/speed control. This allows owners of other Sherline machines to swap the headstock and motor/speed control from one machine to the ball screw mill in approximately 60 seconds. This package offers a savings compared to the price of our full ball screw mills. The table left/right movement is referred to as the X-axis. The table in/out movement is the Y-axis. 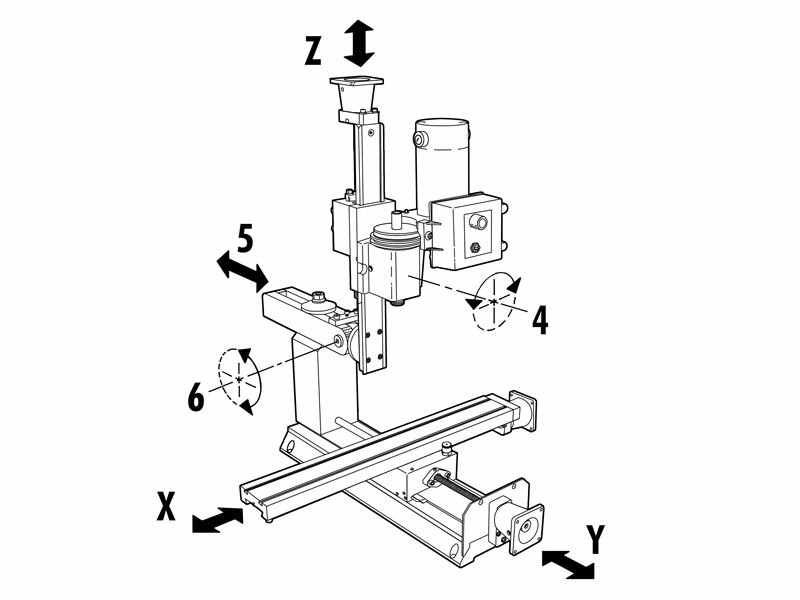 Headstock up/down movement is referred to as the Z axis. The headstock can also be rotated on its saddle on Sherline mills (#4), the column ram can be moved in and out (#5), and the Z-axis column can be tilted forward and back (#6). 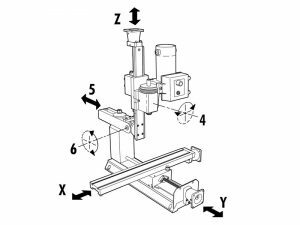 *NOTE: CNC-ready machines cannot be operated manually until stepper motors are installed. Oil reservoirs on the X/Y axes and the Z-axis to help keep critical parts lubricated. 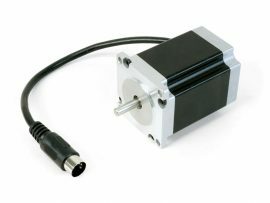 For optimal performance, we recommend using the High-Torque Stepper Motors with our Ball Screws.